The Dog Ranch is run by qualified and skilled Canine Trainers and Behaviorist Keith and Rhonda Irwin. 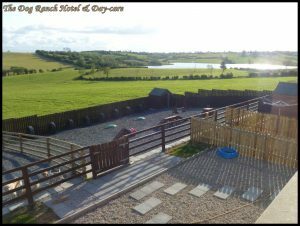 Located just outside Cavan town in Ireland the Dog Ranch is a modern first class Day-care, Training and Behaviour Centre with a Luxury Socialised Boarding Hotel located at our home, offering owners a stress free and fun way to board their canines while they are away. The centre is located at Unit 10 Kilmore Business Park, on the Dublin Road in Cavan. Leaving your 4 legged family member’s in the hands of professionals giving you extra peace of mind. 5* all round The Dog Ranch is a family run business with a Grooming Salon & Spa so rest assured we will look after and pamper your dogs like they are our own. 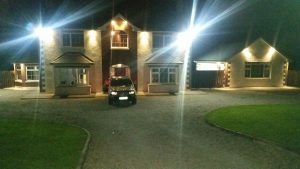 Our home is situated in the heart of Cavan only one hour from Dublin. With it’s scenic rural location overlooking a picturesque Lake your Canines will have a stress free, fun, safe and luxurious stay. With our indoor Doggy Hotel located at our home your loved ones are never left alone and get the very best of care. Inspired by our love & passion for dogs and owning 9 of our own, we are equipped with an exceptional understanding and knowledge of the needs of our canine friends. With 9 years’ experience in the Canine Psychology, Behaviour and Training industry we combine our knowledge and expertise into the daily running of The Dog Ranch. We both hold Diploma’s in Canine Training, Behaviour and Psychology. 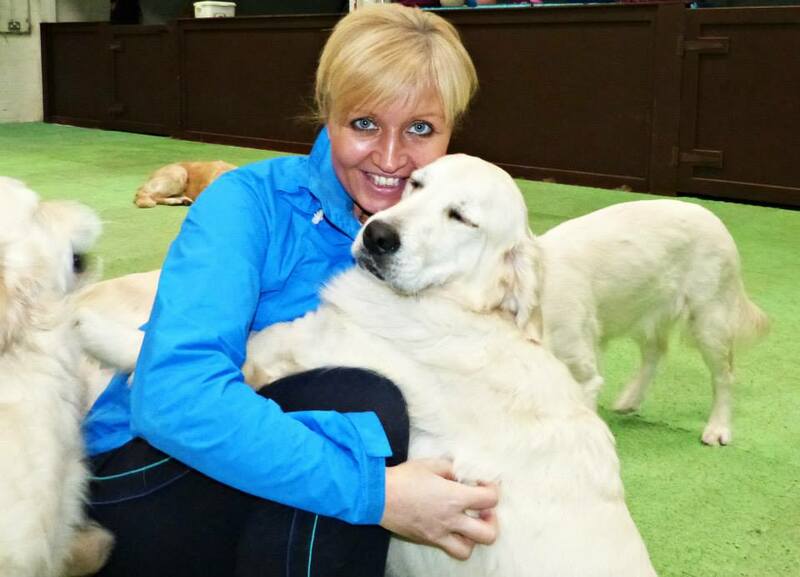 We also hold certificates in Canine Aggression, Nutrition and are currently studying Massage Therapy. We believe in keeping up with latest in Modern methods in Dog Training and Behaviour and are passionate about educating people in using positive reward based methods too. Our ultimate goal is to help fulfill the needs of dogs and their owners while also relieving the stress owners experience when having to leave their family members behind. With daily video updates through our Facebook page you get to experience and enjoy the fun your pet is having. By providing a home from a home kennel free stress free boarding and with 24 hour supervision your furbaby will get the very best of care. As we specialise in Canine Training & Behaviour it gives our Dog Day-Camp a great place for dogs of all ages to learn and socialise while having lots of fun. As an extension of Day-Camp our first class Hotel boarding is a real home from home. So after a day of play all guests come home with us to stay. 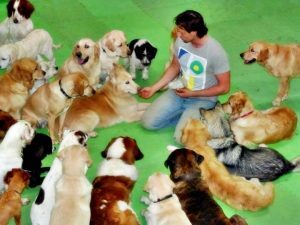 For those less social dogs that need that extra attention we at The Dog Ranch run a Behaviour clinic. We cover all behavioural issues that owners experience with their dogs. We have rehabilitated many dogs over the years that were unfairly labelled, misunderstood and given up on and were going to be euthanized due to lack of knowledge and understanding. We believe that by teaching owners how to understand their dog’s behavior and how to communicate with them from a canine’s point of view we can help build a stronger relationship between families and their dogs. We believe in using a fun and motivational approach to training & behavior modification with a strong foundation in positive reinforcement. By using positive reinforcement combined with a motivational approach we make training fun for both you and your dog. We show you how to read your dog’s body language more effectively, how to spot potential problems, and how to get your dog to listen and respond to you. We also hold puppy & adult socialisation classes, agility and obedience. 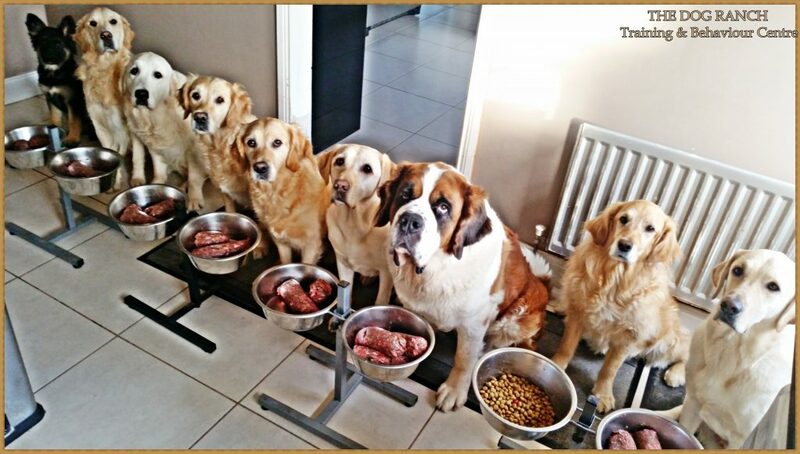 Our private classes are also tailored to you and your dog’s needs. New to our programme is our early learning ‘Play & Stay School’ which gives your pup a great head start in life. We look forward to your family member becoming a Dog Ranch Camper!